On October 21, 2014, a personal dental mal-practice lawsuit was quietly settled out of court in favor of the plaintiff, Freya Koss. Ms. Koss admitted relief that it’s over, yet is somewhat dismayed at not having had the opportunity to take her case to court. No doubt, it was Ms. Koss’s 14 years of unyielding persistence together with her indisputable documentation that finally brought this landmark case to fruition. The settlement averted a jury trial that had been scheduled to take place in New York Supreme Court, Bronx County. The complaint filed in 2000 by Ms. Koss alleged that the dentist had exposed her to dangerous levels of mercury vapor during the unsafe removal of an existing amalgam filling and replacement with a new one. Further, she alleged that her injuries were due to numerous deviations from the acceptable standard of care in 1998, the most significant being the use of liquid mercury rather than a pre-encapsulated form of dental amalgam. Secondly, the liquid mercury amalgam was inadequately mixed in an antiquated and damaged amalgamator, whose 1941 manufacturing date was confirmed by the company’s original records. the complaint alleged that the dentist did not follow recommended precautions to prevent inhalation of mercury vapors, known to cause harm to the nervous system. Also, the dentist had failed to inform her of the risks involved in the drilling out and replacement of mercury-containing amalgam fillings. Under the terms of the settlement, Ms. Koss is not permitted to reveal the amount of the settlement nor certain details related to the defendant. However, if you are interested in learning of one patient’s ardent commitment to mercury awareness, to legislative change and to health recovery after being mercury poisoned in the dental chair, please read on. On March 9, 1998 I sought the advice of a new dentist to repair an upper molar that had been bothering me. After reviewing the x-rays the dentist noted that the tooth had a deep cavity under an existing amalgam filling. Although he said he could “almost see the nerve”, the dentist drilled the old filling out replacing it with a shiny new silver amalgam filling. Little did I know at the time that both the old and the new silver fillings were 50% mercury, a dangerous neuro-toxin. A week later I suddenly felt dizzy while attending a ballet performance, and upon leaving I was struck with double vision and light sensitivity. I became frightened as multiple images of the oncoming cars were blinding me. I wondered how I would drive home, and could not comprehend what had happened to my near perfect vision. I realized that closing one eye created a single image, and I was able to cautiously maneuver home. Nine days later a visit to my optometrist gave me cause for alarm. I was told not to leave her office until an appointment with a neurologist was scheduled the following day. I later learned that she suspected that I had multiple sclerosis or a brain tumor. Weeks of doctors, blood tests, brain scans and electrical stimulation needles culminated in diagnoses of three life-threatening autoimmune diseases: lupus, multiple sclerosis, and eventually myasthenia gravis when my eyelids began to droop. Determined to regain my health, wearing an eye patch, I scoured the Internet for answers. On the fifth day at 3:30 am, I found myself mesmerized by the story of an English woman who had had multiple sclerosis for ten years, had learned of the link between mercury in amalgam fillings and MS, had two fillings removed and seven days later experienced the same symptoms I had. A shock ran through me as I recalled that exactly seven days before the onset of my symptoms, I had had a large silver amalgam filling drilled out and replaced with a new one. That was my first clue that I had been mercury poisoned. Back on the Internet, I was astonished to find a plethora of websites of doctors, dentists, scientists and consumers claiming that MS, Lupus and several other autoimmune diseases and others illnesses including Parkinson’s, ALS, Alzheimer’s and mental illnesses such as depression and anxiety were all linked to mercury poisoning from amalgam fillings. It became apparent to me that mainstream medicine and dentistry would not, and could not help me. Among those I initially contacted was a volunteer consumer organization, Dental Amalgam Mercury Syndrome (DAMS) and their longtime Vice President, Carol Ward. Fortuitously Carol lived not from me, and after allaying my fears in a late night phone conversation, she hand delivered a DAMS information packet the very next morning. 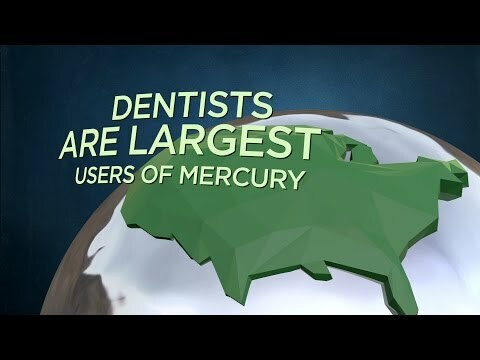 Included was a list of mercury-free dentists and alternative doctors who use safe, holistic modalities to treat patients who have been mercury poisoned. After continuing my research, I chose Blanche Grube, DMD, a biological dentist practicing in Scranton, PA, who strictly followed the International Academy of Oral Medicine and Toxicology’s (IAOMT) safe protocol for amalgam removal. She carefully removed the filling that had acutely poisoned me, replacing it with a non-mercury white composite. Alarmed by the unusual texture of the amalgam filling she had just removed, she shouted: “I’ve never seen an amalgam filling so gritty and dry”, wondering how this filling was mixed and what it contained. During the next six months Dr. Grube scrupulously removed the remaining fillings from eleven teeth. From everything I had read, I realized that in addition to safe removal of the mercury fillings, it was imperative to be treated by a doctor who was knowledgeable about the safe protocol for removal of mercury from the body and brain. I chose Dr. Harold Buttrum, MD, an environmental physician, who had established an alternative healing research center in Quakertown, PA. As a maverick in the field, he conclusively diagnosed me with dental mercury poisoning prescribing intravenous vitamin C drips and a program of detoxification supplements and dietary restrictions. He explained that mercury released from dental amalgams can accumulate in the organs and tissues from both chronic and acute exposure. After months of treatment I slowly recovered from most of the overt neurological symptoms, however, it took 3 ½ years before my eyelids stopped drooping. What appears to be permanent is mild but constant double vision and ocular muscle weakness. I continue to follow-up with Dr. Buttrum’s successor, William Kracht, DO and Andrew Lipton, DO of Narberth, PA. Without the help of these doctors, I would have acquiesced to mainstream diagnoses, and might now be seeing life from a wheelchair. The settlement of my case will not deter my commitment to bringing public awareness to the mercury issue, nor will it curtail my efforts to end the use of mercury in dentistry. However, I do feel that I have finally been vindicated after 14 years of legal struggles, during which the dentist consistently denied that his dental procedures had caused me serious physical injuries due to mercury poisoning. Hopefully, the outcome in this case will send a message to the dental community that the use of amalgam fillings is extremely hazardous to human life and the environment, and its use should be banned immediately.